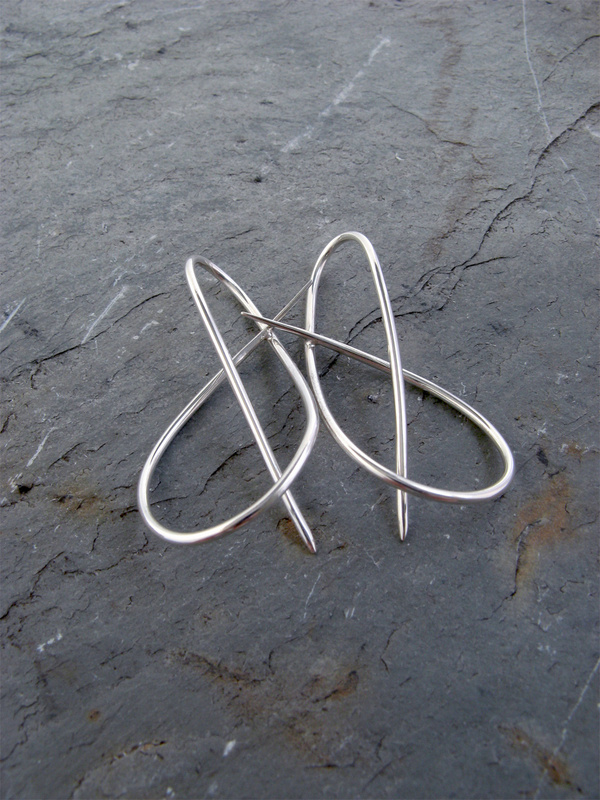 Interwoven sterling silver wire forms a continuous elegant linear form. Subtle design with minimal treatment and an integrated post. Seamless transitions from curve to curve. A lovely way to connect ..
Each 45mm, 1 ¾ inches.